This weekend was a cold one in Orlando! Any excuse for me to bust out my boots makes me a happy girl. Saturday night was a chilly 45 degrees, which really put me in the mood for a warm, delicious treat. I really wanted hot chocolate, and I just happened to have a box from last winter waiting patiently in my pantry. I did a quick check of the Nutrition Facts, and I was kind of surprised that one tiny packet had about 100 calories and 3 grams of fat. Not that this is a high-calorie drink by any means, but I try to save all my calories for eating real food . After some long stares into my almost-bare pantry, I spotted a tub of Hershey’s Unsweetened Cocoa hiding in the corner. I grabbed my favorite mug and started to whip up a skinny version of my favorite hot drink. 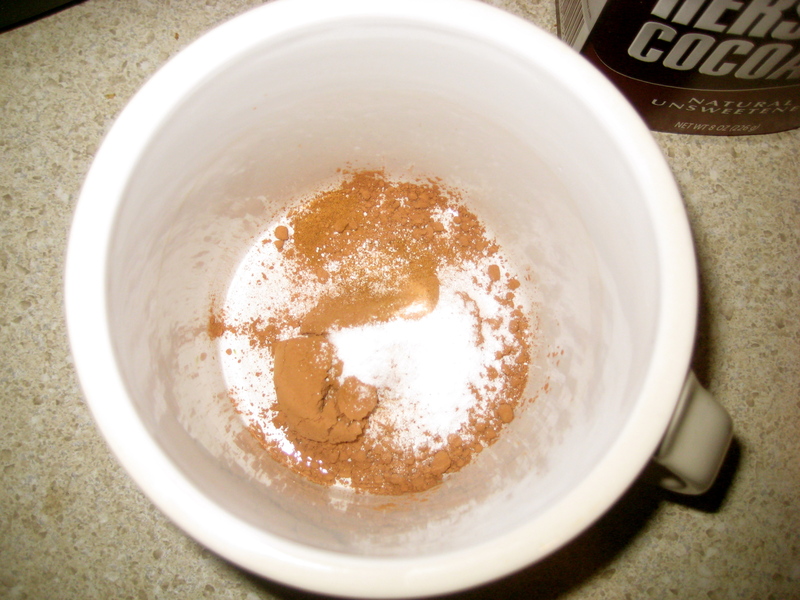 In a mug, pour the cocoa, Splenda, and cinnamon and stir together. 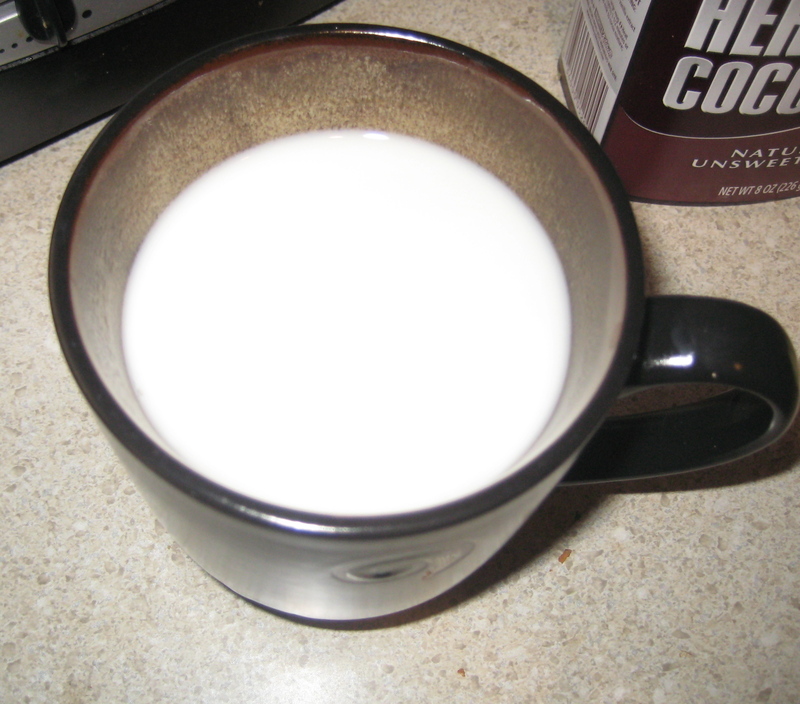 In a separate mug, heat the Almond milk in the microwave until hot. 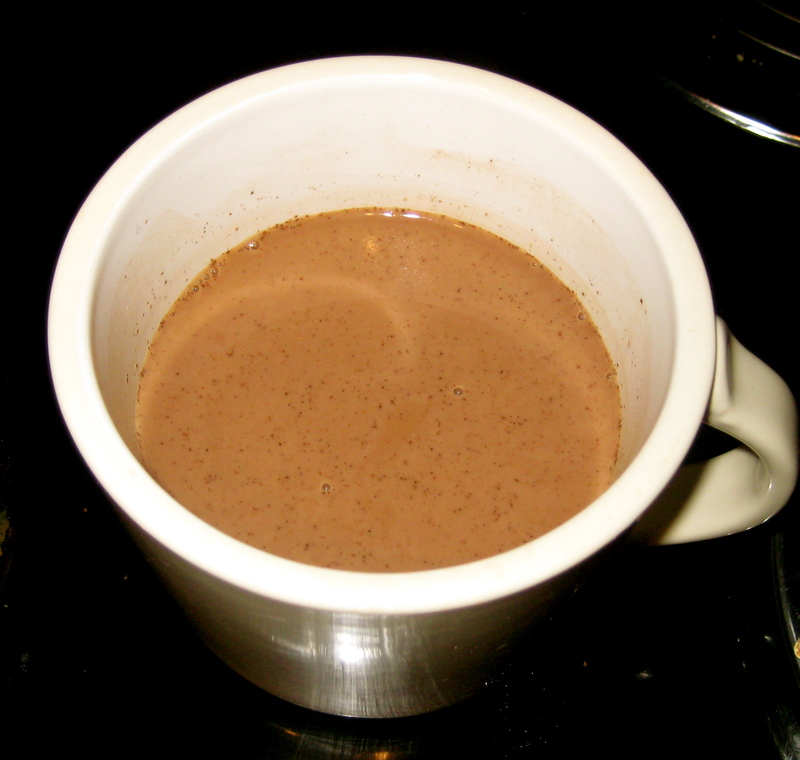 When the milk is hot, pour about half of it over the cocoa-Splenda-cinnamon mixture. Stir with a spoon until well dissolved. Pour the rest of the milk in, stir, add the vanilla extract, stir again, and drink up! After my hot cocoa discovery, I was pretty much ready to fry up a turkey and invite the family over for early Thanksgiving! It seems like when the holidays are just around the corner, I can’t help but crave some kind of pumpkin-flavored food at least once a day. I love Pumpkin Spice Lattes, pumpkin bread, pumpkin seeds- you name it! The other day I was in the spice aisle at the grocery store and spotted a tiny jar of Pumpkin Pie Spice. Who knew they could capture that delicious scent and put it in a spice shaker?! I threw it in the cart, along with a can of pumpkin, even though I had no idea what I was going to make with the two ingredients (I am a cook, after all, not a baker!) 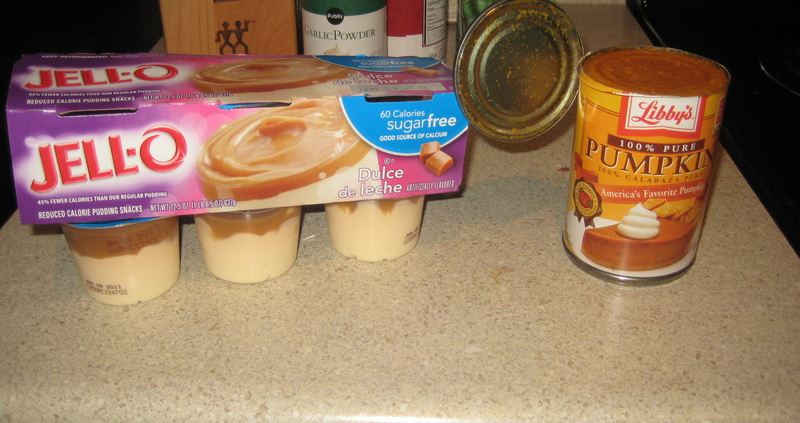 After some brainstorming when I got home, I came up with a creamy, low-calorie, 3-ingredient dessert! 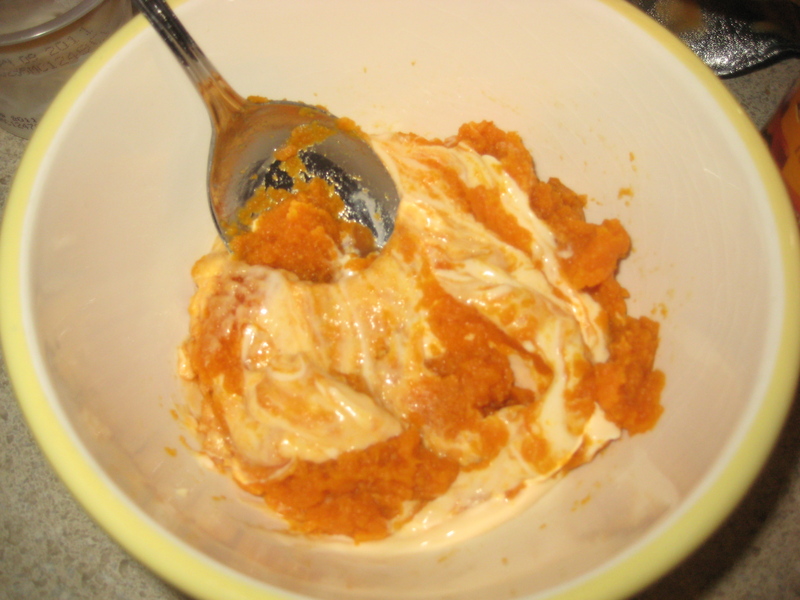 In a bowl, scoop out the pudding from the individual cup and add to the bowl. 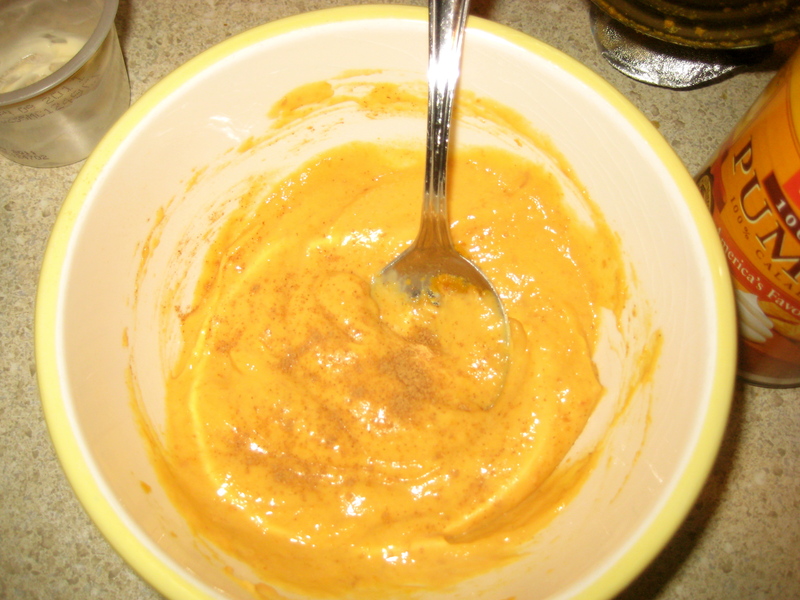 Spoon the pumpkin into the bowl and mix together. 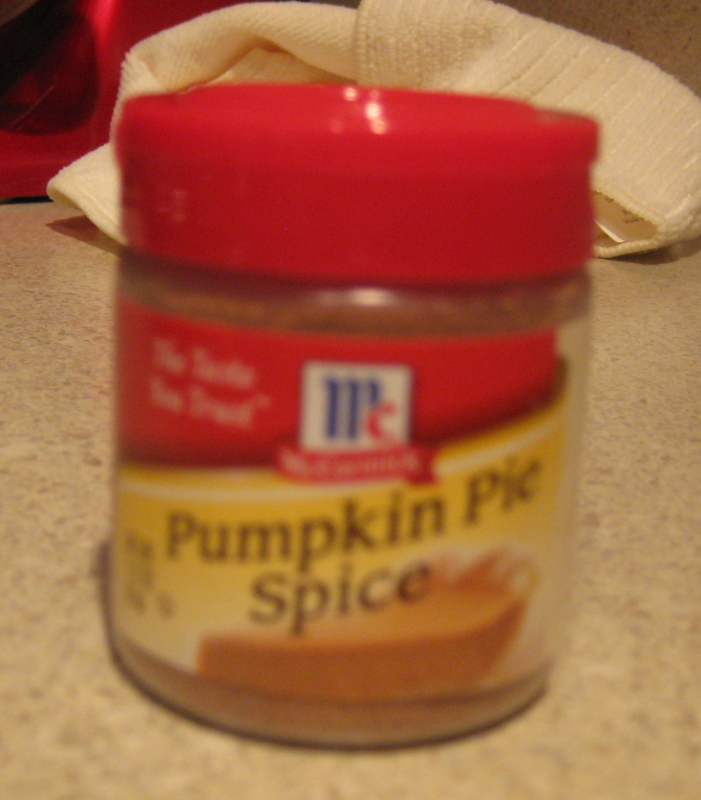 Add the Pumpkin Pie Spice and mix again. Serve with an additional sprinkle of the spice. Girl that’s all I drink is almond milk, it’s the best! !